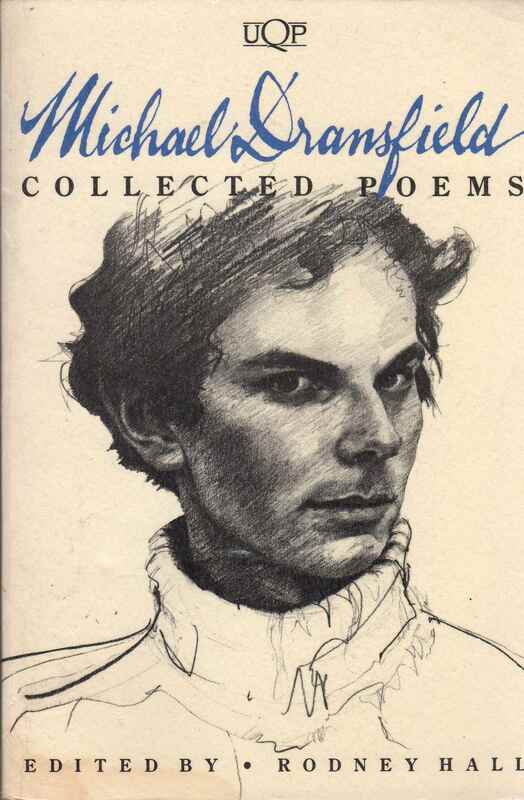 Michael Dransfield Collected Poems Edited by Rodney Hall. University of Queensland Press 1987. Southerly Volume 48. No 4. 1988. When Michael Dransfiled died on Good Friday, 1973 at the age of 24 he had already published three collections of poetry and established a reputation as one of the most successful and popular of the new wave of young Australian poets who had emerged in the late 1960s. Since his death a further four collections have appeared, culminating in the Collected Poems (UQP 1987). When one considers Dransfield’s rapid rise to prominence, together with the attention focused on his lifestyle and the tragedy of his early death, it was almost inevitable that, to some extent, his life would come to overshadow his poetry. In fact, in the fifteen years since his death, the ‘Dransfield myth’, together with the decline in fashionably of the romanticism at the heart of much of his poetic imagery, has meant that his reputation as a poet has been attacked by a number of critics. In such a context, the publication in one volume of all of Dransfield’s published work, provides us with the opportunity to review his overall achievement and, hopefully, to reach a more realistic assessment of his work.